Compare all Direct UK Payday Lenders and read our unbiased reviews to find the loan that best matches your needs. Representative Example: Representative Example: £400 loan for 113 days (4 instalments). Total: £597.48. Interest £197.48. Interest rate 255.5% pa (fixed). Repay £149.37 for 4 payments. Representative 939.5% APR. Representative Example: Total Amount of Credit: £300. Duration of the Agreement: 90 days. Total Amount Repayable: £454.26 to be re-paid in 3 equal instalments of £151.42 on your next 3 pay days. Interest is Fixed at a rate of 292% per year – 0.8% interest per day. Representative 1265% APR. Representative Example: Amount of credit £250.00 for 30 days. Total amount payable £310.00. Interest rate 292% (fixed). Interest £60.00. Representative 1270% APR. While the payday loan industry was a bit of a jungle full of lions (well, sharks) a few years ago, the Financial Conduct Authority (FCA) proposed a series of measures in April 2014 with a clear objective of making the market tougher and regulated - for sure a lot more than it was prior the introduction of the rules. - Initial Loan Cost Cap: the total amount charged for interests, fees must be maximum 0.8% per day. That represents a yearly interest rate of 292% (you can find that in the representative example). Concretely, you cannot be charged more than 80 pence per £100 borrowed. - Total Loan Cost Cap: not only the initial amount of the loan is capped. The total amount is also limited to 100% of the amount of your loan, i.e. if you borrow £100, you should never pay more than £200 back included all interests, fees, late fees... this is to prevent customers from escalating debts. - Cap on Default Fees: another cap that was highly needed is the limitation of how much you can be charged for missing a payment/paying late. Lenders won't be able to charge you in total more than £15. If you pay late, the daily interest rate of maximum 0.8% will be applied (see first point), this until a maximum of 100% of the loan amount (see previous point). Summary: as of today, if you take out a loan of £100 and repay on time, you should never be charged more than £24 in interests and fees. If you pay late, you will owe the £24 of interest + a likely £15 of default fees + the daily interest of 0.8% per each defaulted day. Eventually, you will never be charged more than 100% of the loan amount, that is £100+£100 = £200. 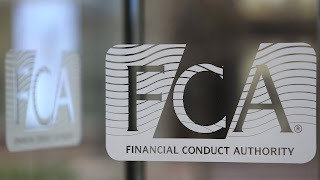 Besides capping the cost, the FCA has dealt with other aspect of the excessive borrowing behaviours observed. - Rolling over only twice: not 3, not 4 times to prevent spiraling debts. When lenders (and consumers) used to conveniently rollover loans to the next month it was also a very costly solution leading to huge debts. Since the introduction of the rules at the beginning of 2015, loans can only be rolled over twice and then the balance will be due. - Payment collection: one of the other main changes is about how often payday lenders are trying to collect money from your account. Most lenders use a Continuous Payment Authority (CPA) to collect funds from your bank account, allowing them to do so at any date and take any amount. That means, provided they let you know they will take a payment, they can collect small amounts several times a day if necessary. This was abusive. Besides not all lenders were informing their clients about that. This is another issue when other entities (water, tax, rent..) use a CPA and the money is not there anymore. Since January 2015, payday lenders will be limited to 2 failed attempts at collecting money. After that, they will need to get in touch with you to sort out the problem. - CPA part payments forbidden: as a logical continuation of the previous point, only attempts of collecting full payments will be allowed via CPA. Partly trying to get funds via CPA is forbidden. - Debt information and risk warning: all types of short term company, including brokers, will have to display a clear warning message on their website and in any electronic or non-electronic communication. The message mostly warns about the dangers of late repayments but also advises how to get debt help from Moneyadviceservice. Last but not least, this is often forgotten, but you can withdraw from the agreement during the first 14 days. Anytime. All you have to do is pay the interest of the credit you have used. That's all. You must be 18 years old, UK resident, have a UK bank account and employed (or have a regular income at least) to apply for a loan with most of those lenders. 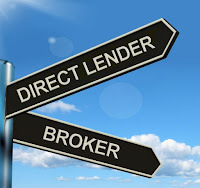 All our direct payday lenders are listed according to several criteria such as their Representative APR, loan amount for a new client, loan term... The site also lists lenders to allow you to compare short term loans by type, depending on whether you are looking for a loan fast, an installment loan or a loan by text for example. We also included a shortlist of brokers (not charging upfront fees) if you do not want to apply to all lenders one by one. Provided they do not charge you a fee, they can be a good solution to find out quickly which direct lender might approve you. However we strongly advise to avoid brokers, so here are tips to easily detect them. If you have a poor credit history or are trying to improve your credit score, read our guide including all you need to know about credit checks and rating. Important Information: please note this is an independent and subjective ranking of the payday lenders. This is purely informational and it is not professional advice. Before applying to a payday lender, make sure you understand all the costs and risks associated. Indeed, if you do not repay your loan in full and on time, it might be automatically extended and it would trigger additional fees and interest. This could also impact your credit score negatively and failure to pay your loan could also mean facing collection action. Never forget that payday loans are expensive and do not constitute a long-term solution to financial issues. They should only be used for emergencies and you should not take out another payday loan if you already have one. If you find yourself in financial difficulty, contact as soon as possible a Debt Charity. www.allpaydaylenders.com is a trading name of Quiddi Hub Limited and is a fully licensed credit brokerage business authorised and regulated by the FCA (Financial Conduct Authority). Allpaydaylenders is entered on the Financial Services Register under reference number: 740571 for the purpose of carrying out credit brokerage business. We are registered with the Information Commissioners Office in compliance with the Data Protection Act of 1998, with registration number Z2787055. Quiddi Hub Limited only operate with brokers and lenders who abide by the regulations of the Consumer Credit Act, the Financial Conduct Authority and the Information Commissioners Office. As a payday loan comparison site, hence as a broker, we work with several payday lenders. All of them have their own loan terms and conditions and distinct lending practices. In most cases, late or non-payment may result in additional charges (default charges), fees or interest charges. If you feel you will not be able to repay your loan on time, you should immediately contact the lender directly to discuss your options. Lenders listed in our comparison tables will all perform traditional credit checks from one of the main credit reporting bureaus. Consequently, a late and/or a missed payment may have a negative impact on your credit score. AllPaydayLenders is not involved at all with collection practices. As a broker, we work with several lenders all of which have their own collection practices. If you miss or have difficulties making a payment, you must contact the lender you got your loan from to discuss an arrangement. Failure to do so and solve the payment issue directly with your payday lender may result in your account to be forwarded to one or several collection agencies. Since we are not a direct lender, we do not participate in the decision of renewing your loan. Each lender has their own renewal policies and conditions. We highly suggest you to read your loan agreement and the lenders’ terms and conditions very carefully to know more about their renewal policies. If you have any questions regarding this matter or wish to renew your loan, you should get in touch with the lender we matched your application directly. AllPaydayLenders, as a trading style of Quiddi Hub Limited, work with a carefully selected panel of lenders. All of them abide to an ethical code of practice and are contractually committed to responsible lending and have their code of practice and policy on responsible lending available on their website or from the customers’ information. Our preference goes to lenders with a membership with a trade body association. Can I receive free independent advice? If you feel you are in financial trouble and feel your situation warrants further advice before you make the decision to apply for a loan, you can obtain free and independent advice from the Citizens Advice Bureau or from debt charities such as StepChange. These organisations have experienced advisors that will be able to help you whilst also keeping your information confidential.